The struggle to deal with urban flooding has dominated international headlines recently. Here’s how China’s national “sponge cities” policy takes on rainfall and flooding, and what else it can do to achieve its ambitious goals. Engineering solutions are popular interventions, but cities cannot simply pipe away flood risks. 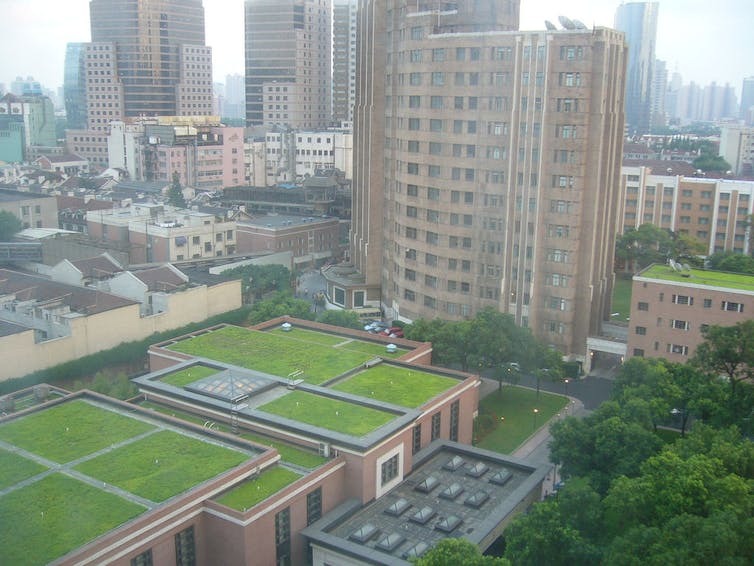 To address the issue, China’s sponge city initiative has an ambitious goal: by 2020, 80 per cent of urban areas should absorb and re-use at least 70 per cent of rainwater. Funding is also a persistent constraint. To date, more than US$12 billion has been spent on all sponge city projects. The central government funds roughly 15 to 20 per cent of costs, with the remainder split between local governments and the private sector. China has an opportunity to strengthen its emerging global leadership role in urban sustainability. However, it must first implement an effective vision for how sponge city initiatives complement broader environmental governance efforts. Asit K. Biswas is Distinguished Visiting Professor, Lee Kuan Yew School of Public Policy at the National University of Singapore and Kris Hartley is Lecturer in City and Regional Planning at Cornell University. This article was originally published on The Conversation.